It was a heartbreaking scene for the New Orleans Saints when they lost to the Los Angeles Rams, 26-23 in overtime in the NFC Championship game on Sunday. Saints quarterback Drew Brees was looking to make it to his second Super Bowl, but just fell a little bit short after throwing an interception in the fifth quarter. After the game, Brees, who is 40 years old, spoke about what his goals are for the future. "I plan on being here next year and making another run at it," Brees said according to ESPN. "My mind's not even there right now. So this is all pretty fresh. But [I'm] just going to take a few days to kind of let it all settle in, talk with my teammates and my coaches." The quarterback was ultimately disappointed about losing the game and talked about what it was liking finishing a game with an interception that occurred after being knocked back while making a pass. 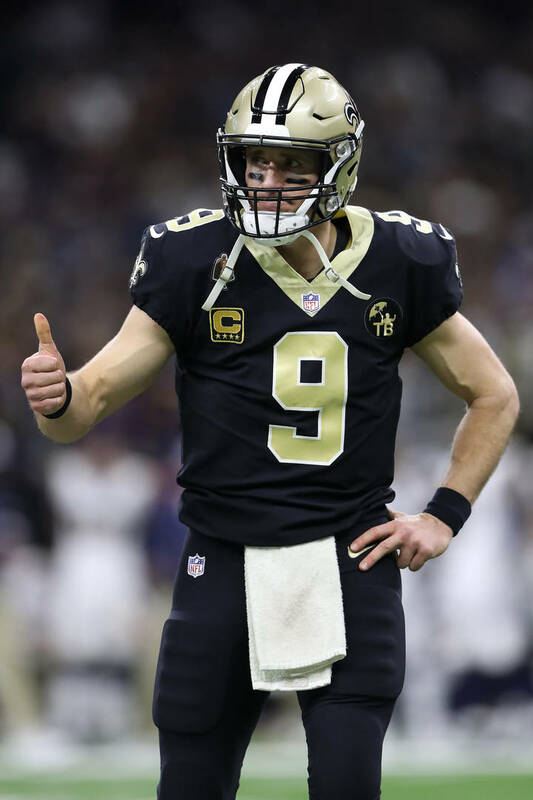 "Unfortunately, getting your arm hit and the ball flying up in the air, that's a tough way to give the ball back to them in overtime," Brees explained. "I thought we had a chance to go down and get points and a touchdown to win the game." Had the Saints won, they would have played the Patriots in the Super Bowl.